Canada Dept. of Trade and Commerce. 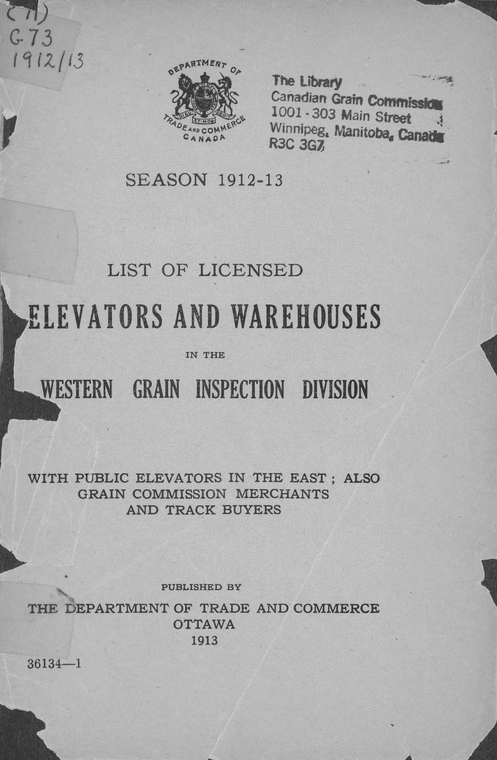 List of licensed elevators and warehouses in the Western Grain Inspection Division. Ottawa: Dept. of Trade and Commmerce, 1913-1931. Physical description: 18 v. ; 21 cm.